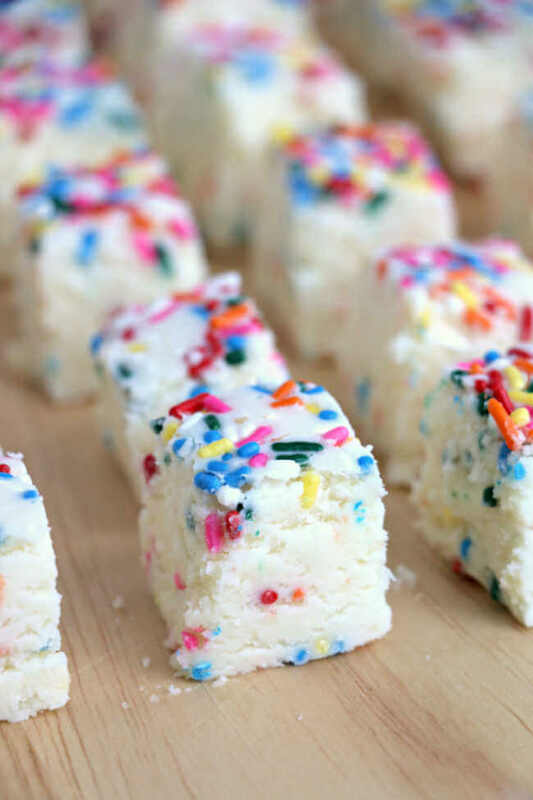 In need of a quick and easy dessert that everyone will love? 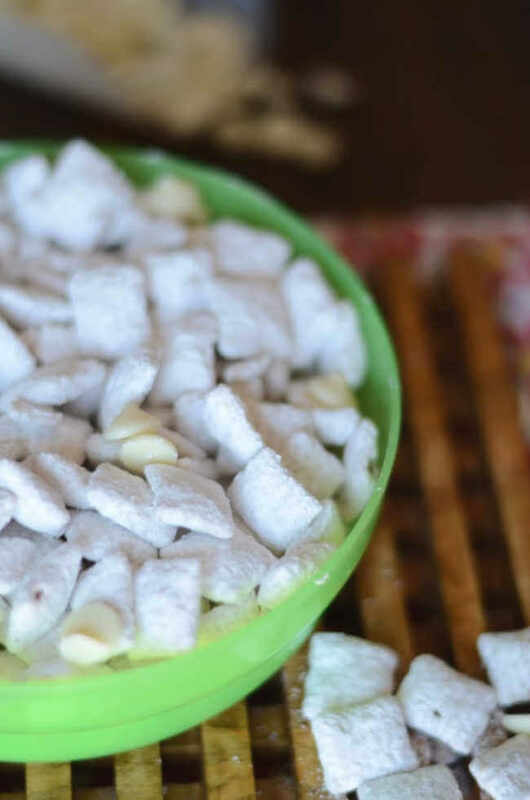 This white chocolate puppy chow is a family favorite that even the kids can help make. With just a few simple ingredients you can make puppy chow in under 10 minutes. Let me show you how! You know when you go to a family get together and there is that one dessert that always disappears? The one that you wish you had grabbed more of but were trying to be thoughtful of others. And then it’s gone and you regret your decision to be kind? 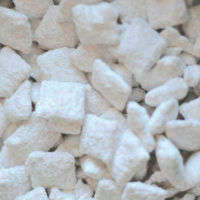 Yea, that dessert would be this white chocolate puppy chow. 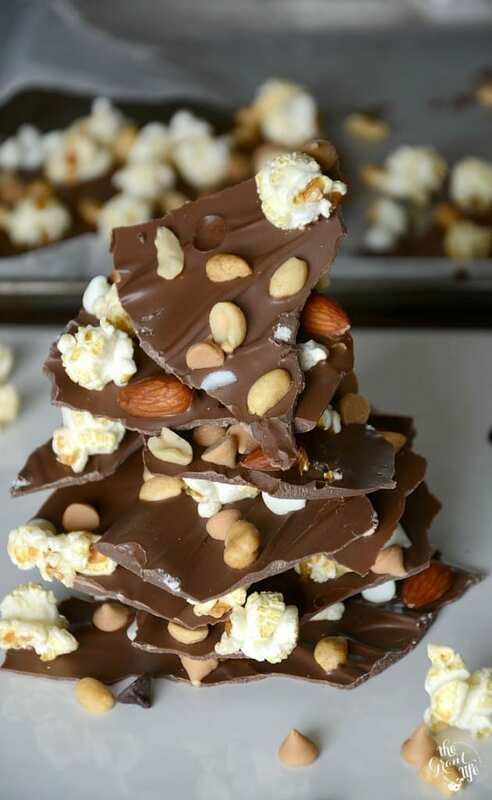 If it’s brought to a family gathering or other event, there is never any left. Only a little bit of powdered sugar dust in the bottom of the bowl. 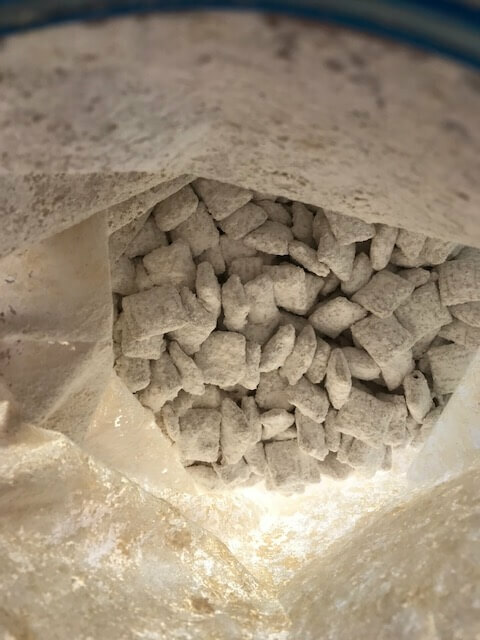 What is white chocolate puppy chow? 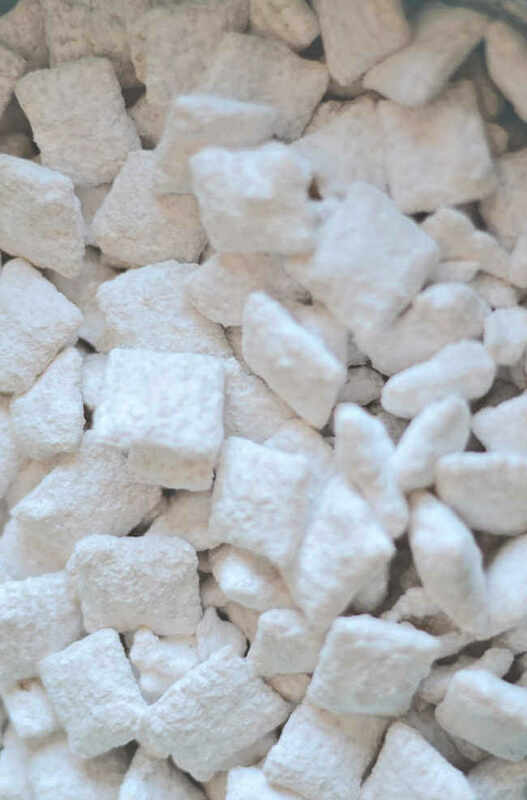 This puppy cow is a combination of a few simple ingredients tossed in powdered sugar. The name of this dessert is highly debated and is also sometimes called reindeer poop, Snow White mix, muddy buddies or monkey munch. Some people even just call it Chex mix dessert or simply Chex mix. So in theory you could call this white chocolate Chex mix as well. Naming aside, this dessert is delicious. I normally make it “for the kids” but end up eating most of it. It’s pretty addicting! It’s also naturally gluten free too! Yessss. 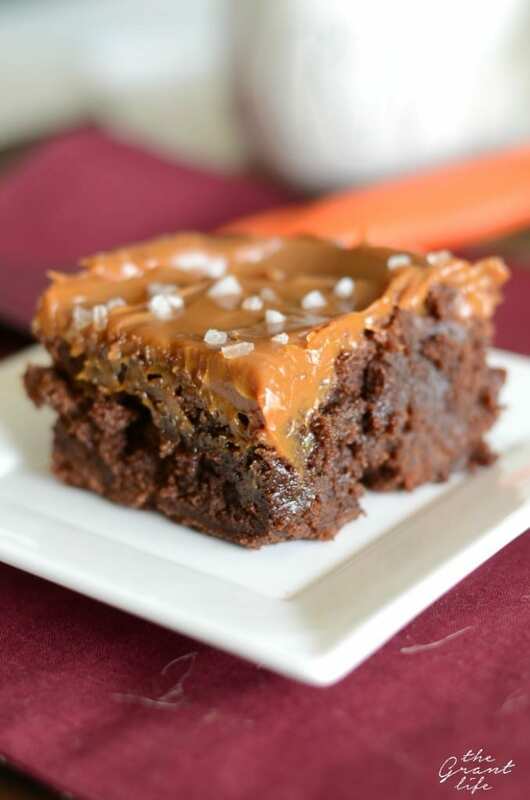 You want a smooth peanut butter for this recipe. 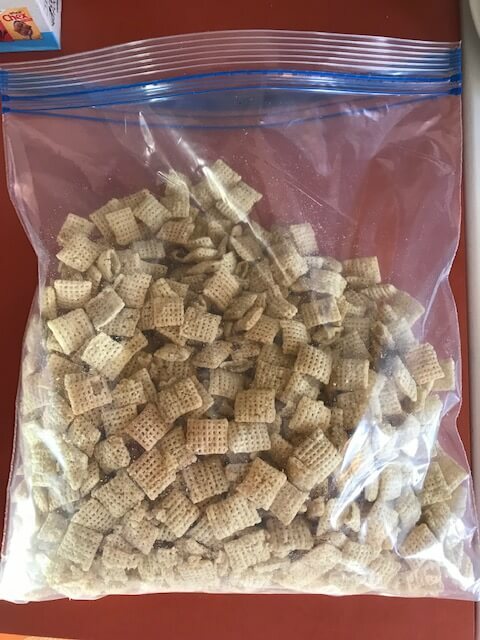 Crunchy or chunky peanut butter will not produce the best puppy chow since the peanuts will stop the powered sugar from attaching to the Chex mix. Any type of smooth peanut butter will work. Heck, even a smooth almond or cashew butter would be good here. 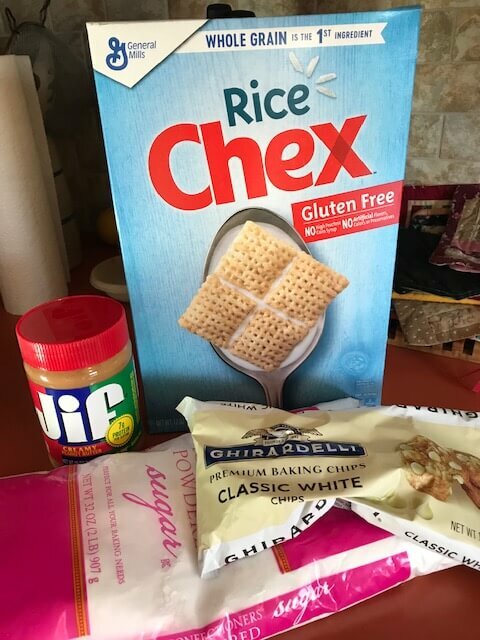 When it comes to the Chex mix, grab a box of plain – either rice or corn. Chex has a bunch of different types of cereal so make sure to grab the plain variety. 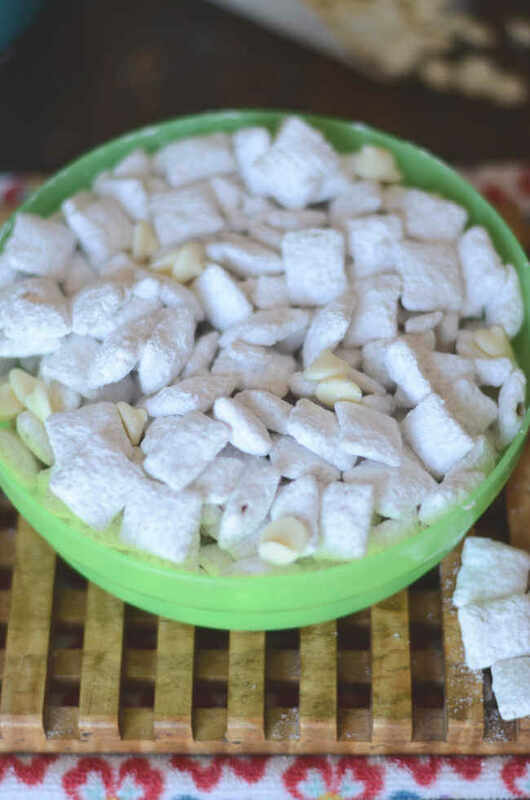 The regular size box of Chex will have the 8 cups of cereal needed for this white chocolate puppy chow recipe. Powered sugar can be found in the baking aisle, if you don’t have any on hand. You need 2 cups of powered sugar. You can also get a strainer if you want to get rid of excess powdered sugar at the end. To start, place your white chocolate chips and peanut butter in your measuring cup. Place in the microwave and melt in 30 second increments, stirring in between. It shouldn’t take more then a minute or two to melt the chocolate. Stir until the peanut butter/chocolate mixture is smooth. 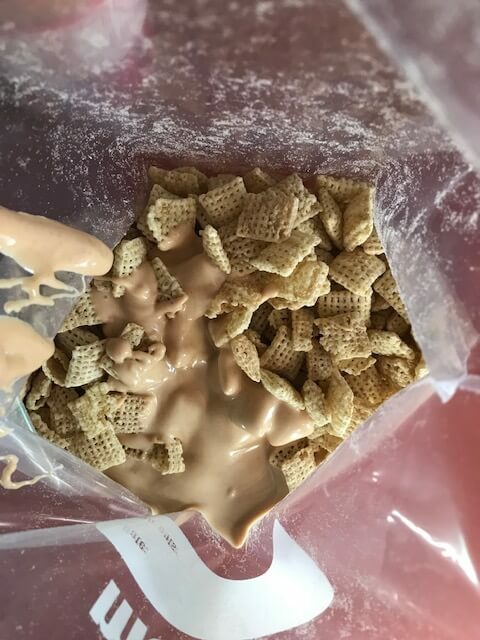 While you are melting the chocolate pour your Chex cereal in a gallon sized plastic bag. (You may need more than one bag. Feel free to use a large bowl as well.) Pour the peanut butter/chocolate mixture over the Chex and seal the bag. Carefully push the cereal around in the bag and cover it in the white chocolate mix. Try not to shake it or be rough so you don’t break the cereal into pieces. 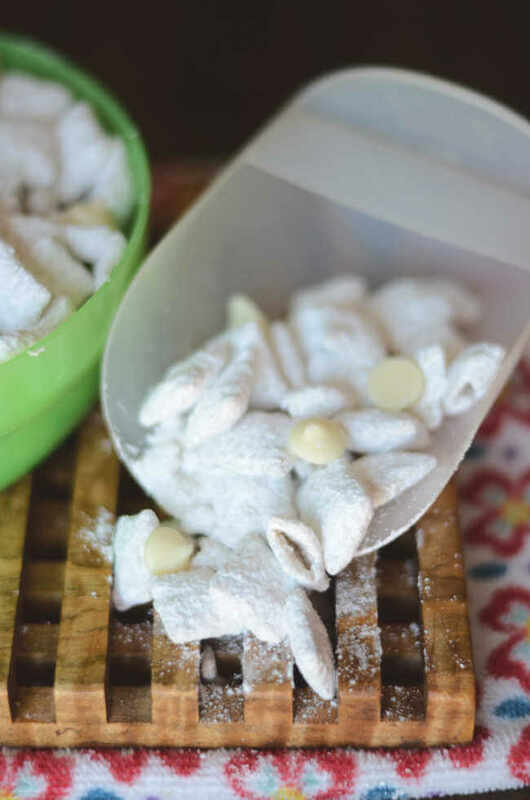 Finally, pour in your powdered sugar and move it around to cover the white chocolate covered Chex. You can shake the bag a little at this point, just be careful not to break it up too much. If you would like, pour the puppy chow into a strainer over the sink and swish around to remove excess powdered sugar. Place in another baggie or a tupperware container when finished. Enjoy within a week. A classic dessert recipe made with white chocolate. 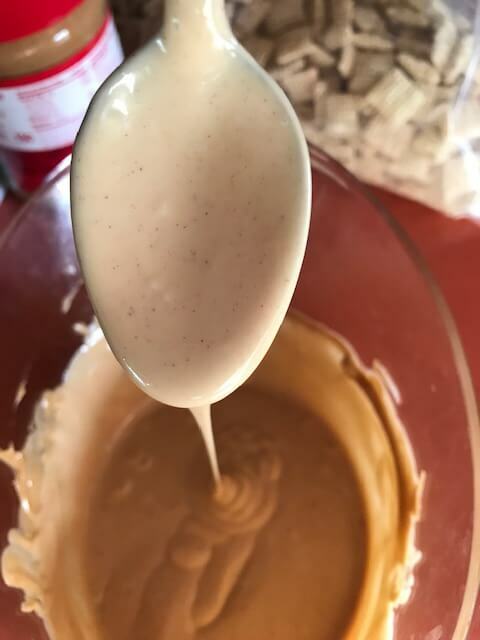 Place your peanut butter and white chocolate in a microwave safe measuring cup or bowl. Melt in the microwave in 30 second intervals, stirring in between. 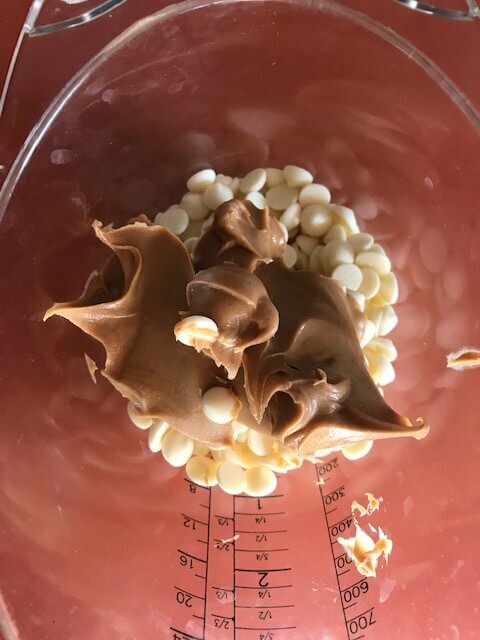 Pour the peanut butter/white chocolate mixture over the cereal that was either placed in a large bowl or gallon sized baggies. Move around to coat the cereal with the mixture, being careful not to break it into pieces. Pour the powdered sugar over the cereal and move around to coat again. If desired, place the mixture in a strainer to remove excess powdered sugar. Place in an air tight container or baggie when finished. Good for up to a week.